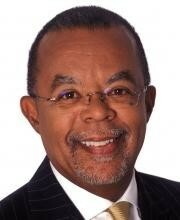 Henry Louis Gates, Jr., distinguished cultural historian in the departments of English and African and African American Studies at Harvard University and creator and host of the popular PBS television series Finding Your Roots, is coming to Temple Isaiah! Dr. Gates will be here to discuss one of his favorite topics: genealogy, particularly Jewish genealogy. A special feature of his talk will be his use of film clips of celebrities, such as Paul Rudd, Scarlett Johansen, Sheryl Sandberg, Larry David, and Bernie Sanders, to show how his research has uncovered their Jewish roots. As a special surprise, Dr. Gates plans to explore the genealogical background of a member of Temple Isaiah community, and will present his findings as he does on Finding Your Roots.